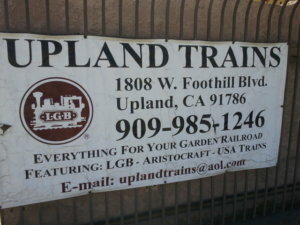 Thank you for visiting Upland Trains. 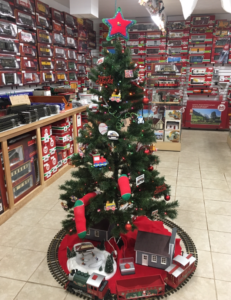 For 25 years, our family owned and operated store has been specializing in G-scale trains. 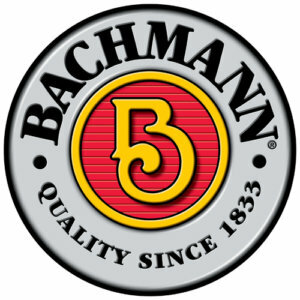 Because of low overhead and low rent, those savings are passed on to our customers. Whether you’re looking to buy your first set or are looking for a special piece to complete your collection, Upland Trains is your store. 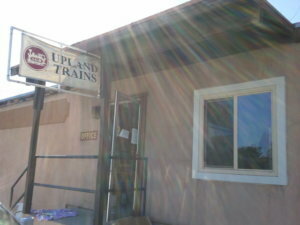 If you have questions on maintenance, or need service or repairs, Upland Trains is the place to call. 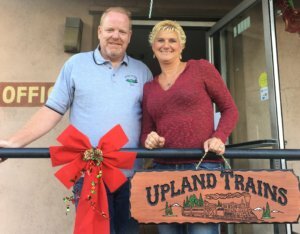 Upland Trains is here for you and we are so excited to help you enjoy model railroading! John is the train guru. 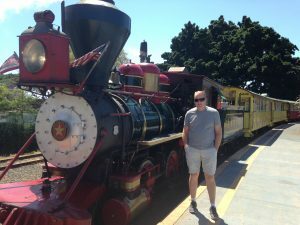 He knows almost everything about g-scale trains that you ever wanted to know. If you are having any technical problems, he is the one to talk to. If you are selling a train collection, he is the one you will wheel and deal with. 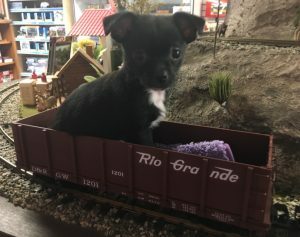 He is at the train store most Fridays and Saturdays. John has a regular job in which he works full-time during the week. 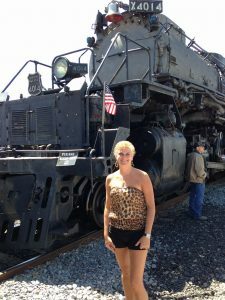 Kim is the one who maintains the web-site, Facebook page, as well as any other social media aspects. She is more than likely the cheerful one you will talk to on the phone. She is there most all days that the store is open. 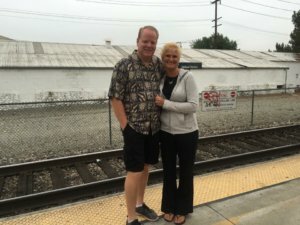 She is knowledgeable about g-scale trains, about the train store inventory,about the orders’ status, and most comings and goings having to do with the store. Belle is our new family addition! We adopted her on St. Patrick’s Day 2018 at 6 weeks old. She is still in training, but she will be the one to greet you when you walk in the store. Belle loves to give kisses and play lots right now.